All the world's a stage, And all the men and women merely players; They have their exits and their entrances, And one man in his time plays many parts. Shakespeare. It's difficult to write an introduction to the person who penned some of the most influential stories in the history of English literature. In my own personal life and career, Shakespeare has had a profound influence. From watching A Midsummer Night's Dream (VHS with Calista Flockhart and Christian Bale) on repeat, to watching unwilling 9th and 10th graders come alive as they read and acted out Romeo and Juliet and The Tempest, I've often found comfort and pleasure from these tales. I have three perfumes inspired by characters from Shakespeare's plays - Capulet, Montague, and the latest, Weird Sister. So in honor of the Immortal Bard's birthday, here's a primer on England's National Poet. William Shakespeare was born on April 26, 1564 - the feast date of St. George, patron saint of England. His father was a prosperous glover and landowner in Stratford-upon-Avon, a town that dealt primarily in the sheep and wool trade. His mother came from a wealthy family and brought a considerable dowry of money and land. By the time Shakespeare was 12, his father held positions on the town council, including bailiff which was essentially mayor. This is significant because at the time, all traveling theater troupes needed to obtain a license by performing in front of the council before they could play for the public. While there isn't much in the way of surviving records offering hard facts about Shakespeare, this is speculated to be influential in his pursuit of the stage, and could even have been a method of networking for him later on. 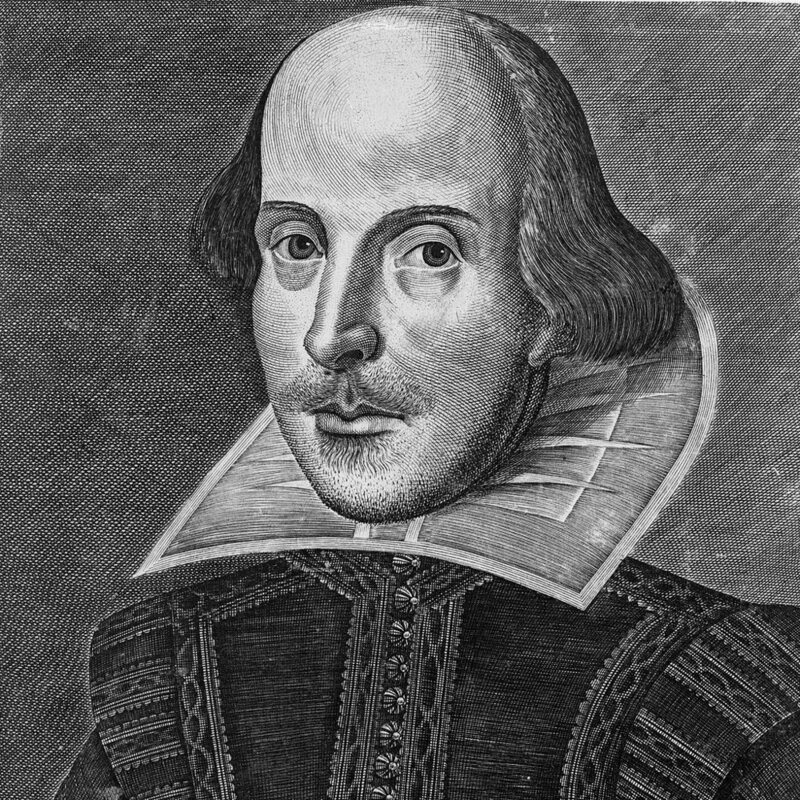 There are no surviving school records, but it is assumed that Shakespeare attended a grammar school but not a university - this assumption is due to the inspirations in his plays. Much of his work reflects the literature, history, and Latin standardized in the grammar schools of England but not the concerns of universities as reflected in Christopher Marlowe's work. (Fun story: Marlowe is one of the writers some believe could have been the "real" Shakespeare. In my favorite movie, Only Lovers Left Alive, Christopher Marlowe is an old vampire who still holds a grudge against Shakespeare. I cackled in the theater when he threw a knife at Shakespeare's portrait. I think I was the only one.) I bring this up because Shakespeare, and his father before him, spent much of his life trying to climb the social ladder and bring status to his family - education was a sore spot. At age 18, the Bard married Ann Hathaway, a woman 10 years his senior. Their first child was born six months later...math! And it was during the next seven years that the already sparse records of Shakespeare disappear completely. Known as the Lost Years, Shakespeare didn't resurface until 1592 when a posthumous pamphlet by popular dramatist Robert Greene was published. In it he called Shakespeare an "upstart crow." If he was known enough to be hated by a competitor, it is presumed that at some point during those seven years he made a name for himself in the London theater scene either as an actor or playwright. In 1594 he became part owner of the theater troupe Lord Chamberlain's Men. The troupe became so popular that when James I succeeded Elizabeth I, the name was restyled as the King's Men. He was a principle actor and wrote many of the plays the troupe performed. In researching for this blog post, I was most struck by Shakespeare's business acumen. Culturally, we have a very romantic view of Shakespeare thanks to his sonnets and the overall cliche of the tender writer's heart. But Shakespeare was a theater entrepreneur involved in all aspects of that business and in later years dealt with land holding and granaries in his hometown of Stratford-upon-Avon. When Shakespeare was still a child, his father had lost most of their land and fortune. In his lifetime, Shakespeare was able to amass even greater wealth thanks to his theatrical popularity and business investments. The Bard of Avon died on April 23, 1616, aged 52. While it is not known conclusively how he died, a century later the vicar of Stratford wrote that he had died of a fever after a night of drinking with Ben Jonson. Tragic, but also kind of an awesome way to go? Because of my love for so many of his plays, I imagine I won't stop at three perfumes inspired by the Bard. Shakespeare's work drew from history, mythology, and magic which are all the things of most interest, value, and passion to me. Capulet and Montague, designed to be layered together, are a dichotomy of sweet and dark - love and death. Weird Sister is a call to magic and feminine power. Happy birthday my dear friend from another age!